Intaglio etching remains popular today with artists because of the creativity of its line, tonal range and gravitas of expression. Traditional acid based printmaking studio is considered to be an unhealthy and hazardous work environment. In response, to the increased cost of providing the required safety equipment, many universities art departments have removed intaglio etching from the curriculum. 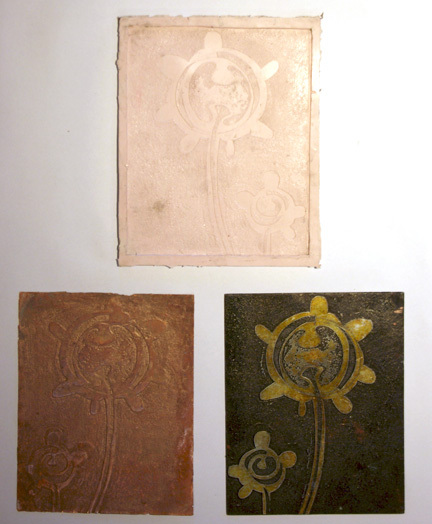 The lack of exposure to intaglio etching during secondary education and the potential health and environmental hazards of traditional etching will alienate students from the art form (Howard). The vitality of etching depends on young people being offered the opportunity to become familiar with, and practice intaglio etching. 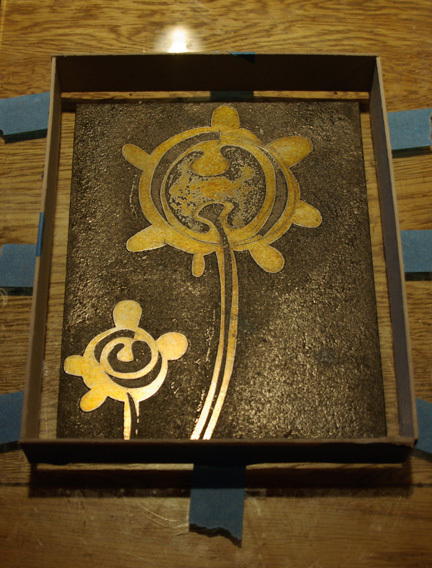 Electro-etching in the form of “same metal and metal salt etching” is the safest, most economic alternative to other methods of fine art etching. To establish practical guidelines for the practice of electro-etching. Bring together the dispersed scientific and technical information on electrolysis, electro-etching, electroforming and electrotyping to make it available in an accessible form for artists and educators. To showcase the process through developing a portfolio of work, running workshops, publications and an active online blog. In earlier scoping research for this project research saline sulphate was identified as a possible alternative mordant to nitric acid for etching. It is widely used and recommended as a safe mordant for etching zinc and aluminium (Wray). Ferric chloride was also considered, but rejected in the early part of the programme, owing to the difficulty of using it in a domestic environment. The benchmark that had been set for assessing an alternative mordent was that it should be inexpensive, safe and convenient for use in a home-based studio. The conclusion of the research project was that saline sulphate could be considered as an alternative to, but not necessarily a replacement for acid etching or ferric chloride etching. It tires over time requiring bite times to be constantly readjusted. It is unstable; it re-acts to changes in temperature. There are problems of disposal in a domestic environment. The need to refresh the bath fairly frequently makes it expensive. It is not particularly good for fine line work. 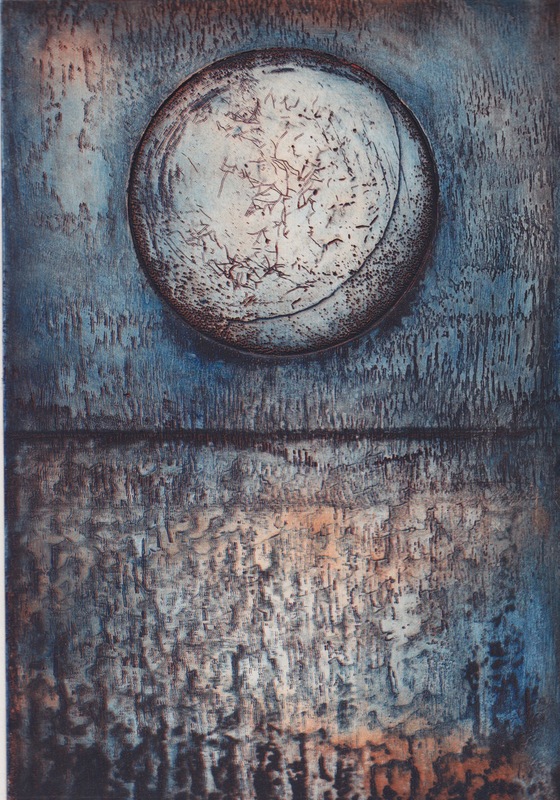 In 1991, Nik Semenoff at a conference, at the University of Saskatchewan in Canada, both described and encouraged artists to use electro-etching as a safe process to etch intaglio plates. It is a matter of surprise, that despite the fact that Nik made this claim twenty-five years ago, and the work of Marion and Omri Behr, Cedric Green, Alfonso Crujera, Bob Perkin and others have shown that his claims are valid, electro-etching is not in mainstream practice. Marion and Omri Behr (1993) published their research into the etching and tone creation in copper and zinc by means of a low voltage electrolytic process using the salts of the same metal as the electrolyte. 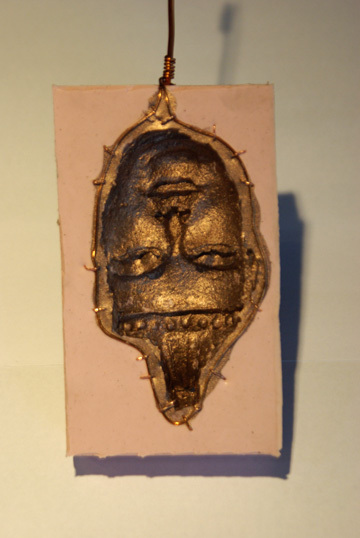 Cedric Green, working in France on an electrolytic process for etching copper and zinc he published his paper on galvanic etching in 1998, he has an active web site on which he publishes his and others artwork and researches into electro-etching and electrotyping. Cedric has recently added papers to his web site describing his concerns about the use of sodium chloride as an electrolyte because of its potential to release chlorine gas. Alfonso Crujera an internationally respected Spanish painter, sculptor and printmaker began electro-etching in 2001 and opened the first electro-etching workshop in Spain in 2002. He published his ‘Electro-Etching Handbook’ in Spanish that has now been translated and published in English. Alfonso has an active website and runs residential workshops. He also has an easy to read, accessible paper on electro-etching on the non-toxic print website. Most recently Alfonso, in collaboration with Bob Perkin a U.K. based scientist, has been writing of their research into the science of electro-etching. In 2010 Francisco Hernandez-Chevarria and Alberto Murillo published their paper “Metal Sacrifice: The use of saline (sodium chloride or table salt) to etch aluminium, steel and iron/mild steel. 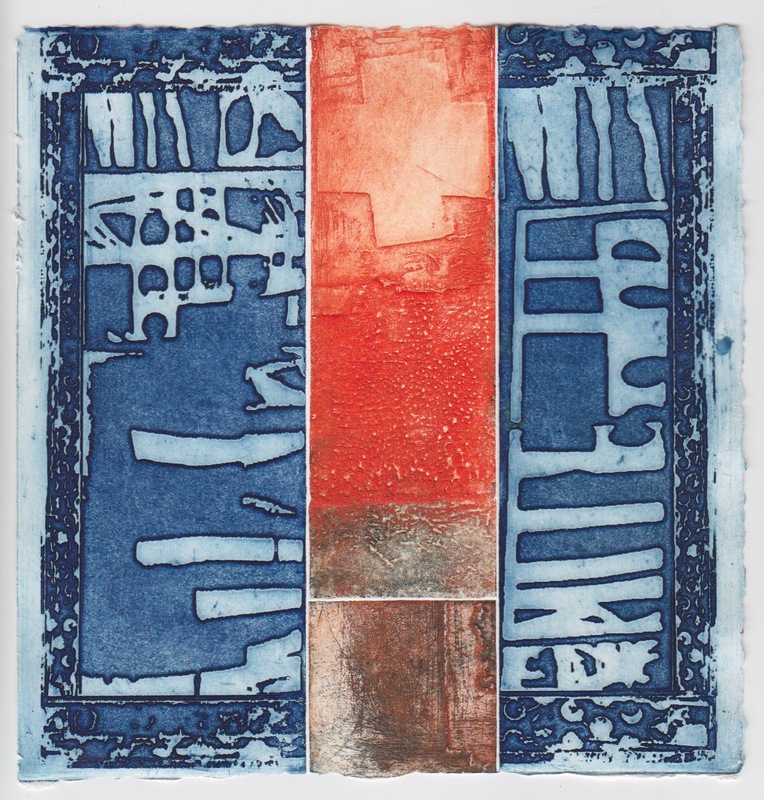 In 2012 Dwight Pogue published his book “Printmaking Revolution” in which he describes his experience of using saline as a universal electrolyte and mordant for etching printing plates. Where am I at with this Project? I guess the flip answer to that question is I wish I knew. I’ve probably learned more about myself than I have about the subject matter so far. I am surrounded by a load of data; notes on experiments and ideas to explore further, but at a time in the PhD. Programme where I need to start pulling it all together into a coherent form and making some work. The making of work has been somewhat on hold over the past two years, so that is beginning to look like a priority. Using the making of art as a research tool. Same metal same metal salt describes the use of the same metal for both the anode electrode and cathode and the electrolyte being an aqueous solution of the metal salt i.e. 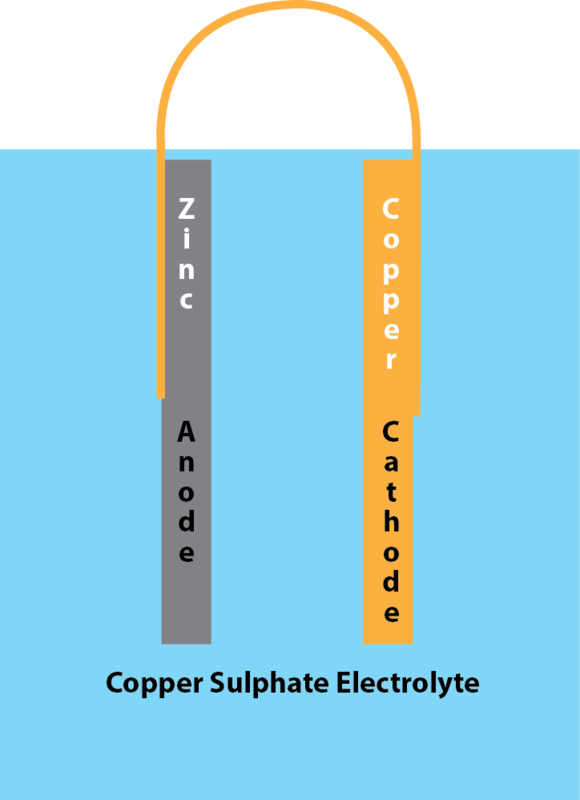 an electrolyte of copper sulphate for copper electrodes and zinc sulphate for zinc electrodes. 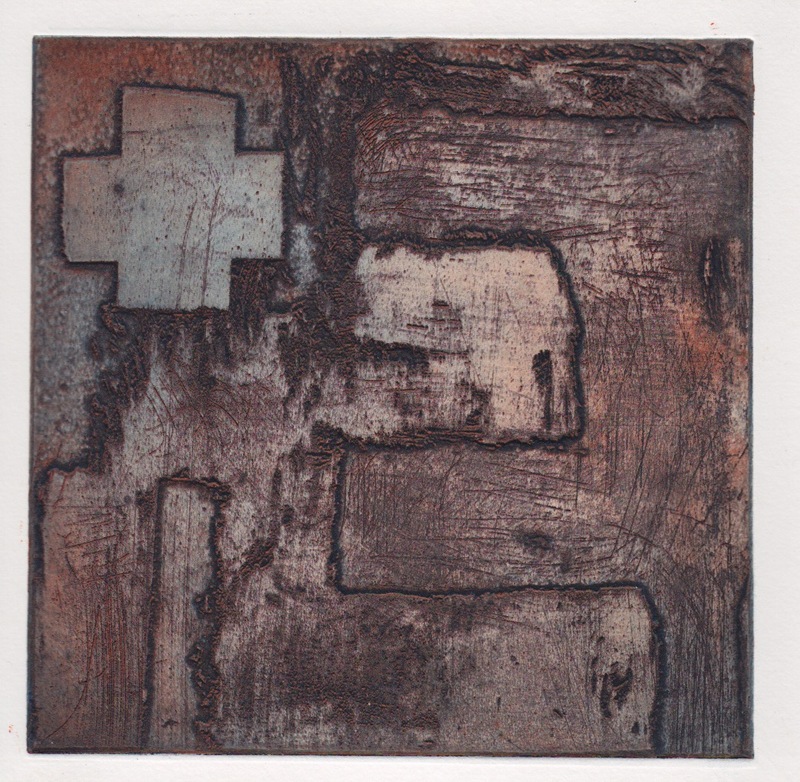 Semenoff, N and Christos, C. (1991) Using Dry Copier Toners and Electro-Etching on Intaglio Plates Leonardo, Vol. 24, No. 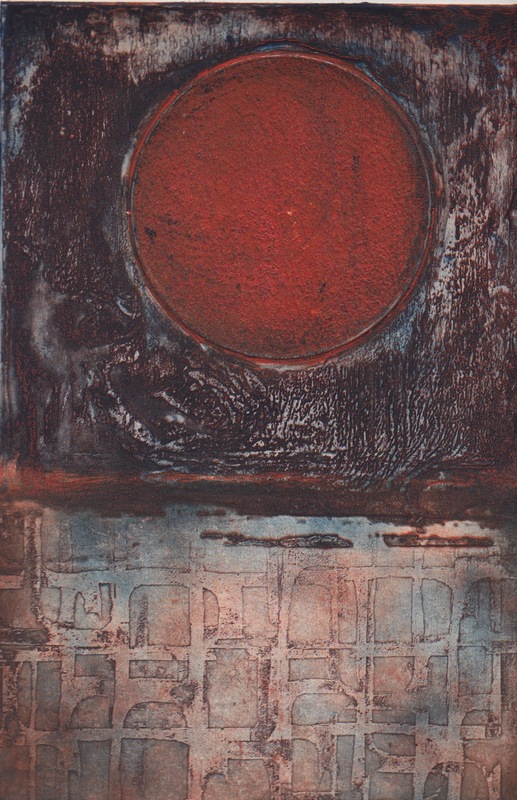 4 (1991), pp. 389-394. 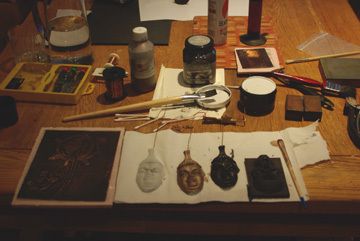 Preparing latex moulds with feed wires and copper conductive paint. It is patented so is only for playing with. Preparing mould to make a copy in copper of a previously printed aluminium plate. The actual copied plate looks much better than the photograph. 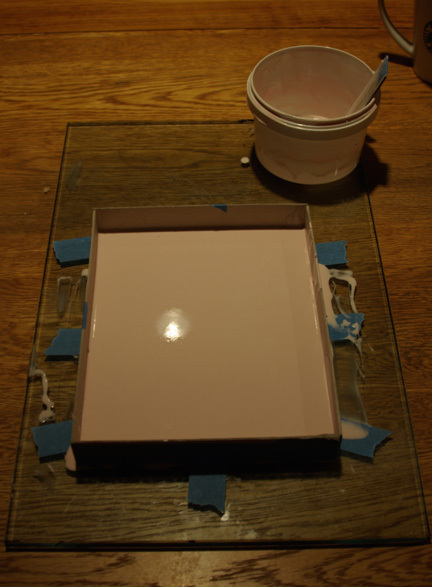 This method is clearly not for the impatient as the process took 48 hours to get a 0.75mm plate. the electrotype process was originally used in the 19th. century to make copies of valuable silver ware for museums as well making copies of printing plates. 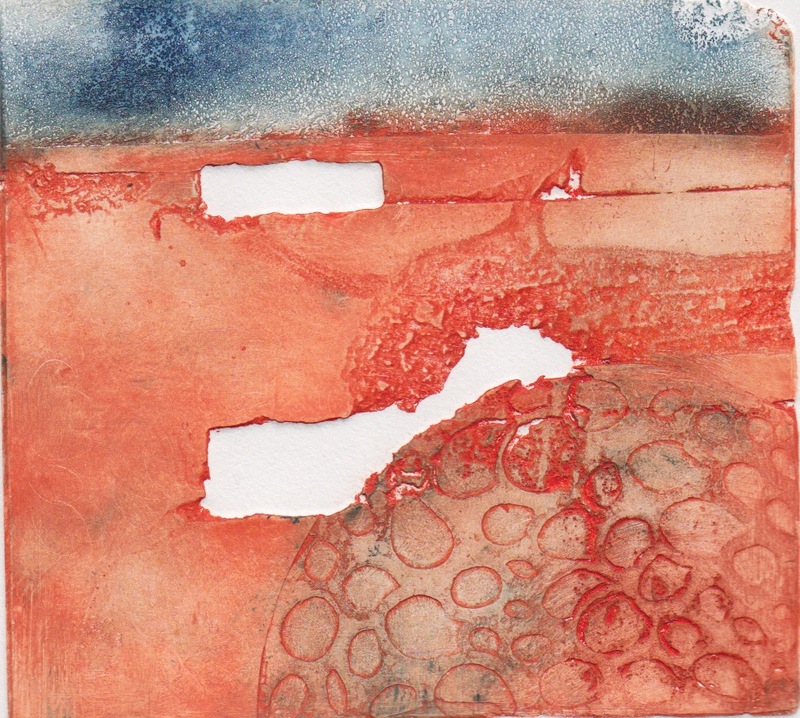 Has a lot of potential for making innovative collagraph plates and making more robust copies of delicate plates. Looking forward to seeing how the copy compares to the original when printed. 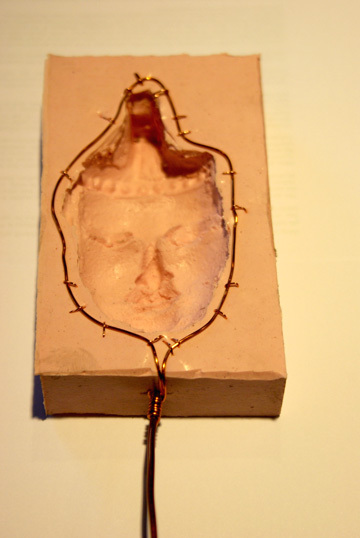 Also looking forward to making some more sculptural forms using the electrotyping process.